So much fun! Have a phone battery pack if you intend to take tons of video or photos. No flash photography and no wifi allowed due to interference with the Robots. Get there early so you can get a seat in the Lounge they put you in before you go downstairs to the showroom. There is a smoking area outside on the Lounge floor. They have a guy Plano piano in the Lounge for a tiny while. You can get drinks at their bar at this time. I went to a pub before the show to drink and have a bite as this place is pricey. Also, your seats are numbered so no need to rush downstairs thinking you will get a better seat. Check out the Golden Bathroom on the showroom level. This is the only time you can go. And you take photos with 1 of the 3 robot performers after the show with your cellphone or camera but they don't give a lot of time (5mins) so try to be the first. 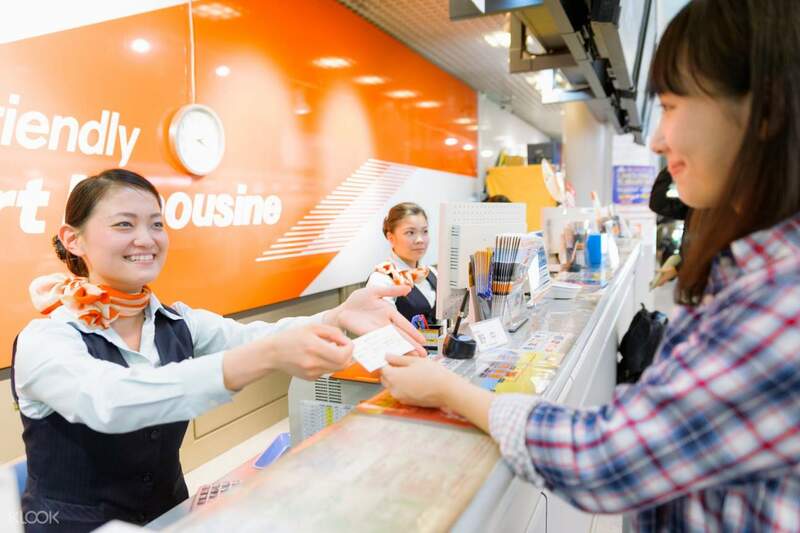 Travel from Narita or Haneda Airport to Tokyo easy and hassle free! No need to get acquainted with Tokyo's complex transportation system on the first day. With the Airport Limousine Bus service, you will get to your destination quickly, safely and in comfort - with no hassle, long lines or crowded public transport. Choose from two packages depending on your travel needs, and simply show your voucher at any of the redemption points to collect your bus ticket. 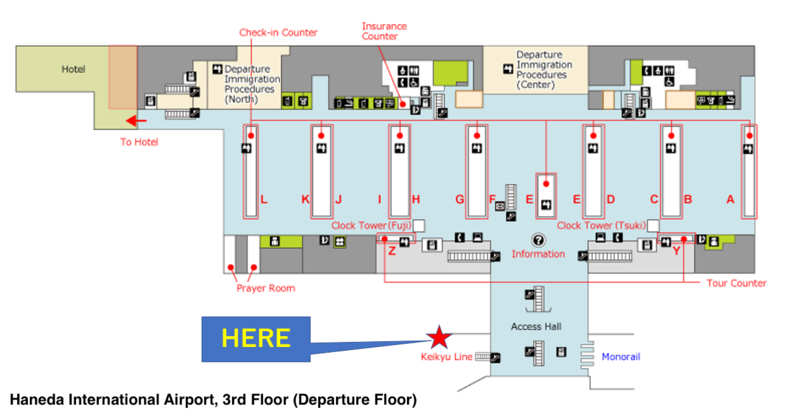 Arrive at the boarding location on your preferred boarding time, and off you go! 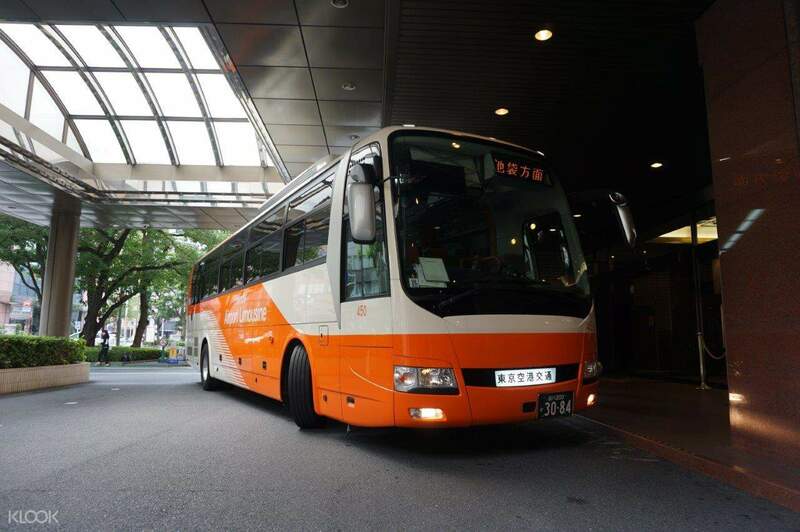 The Airport Limousine bus is equipped with everything needed for a very smooth transfer. You will be able to surf the web, relax in comfortable seating with plenty of leg room and arrive at your hotel (or at the airport) well-rested and relaxed. So much fun! Have a phone battery pack if you intend to take tons of video or photos. No flash photography and no wifi allowed due to interference with the Robots. Get there early so you can get a seat in the Lounge they put you in before you go downstairs to the showroom. There is a smoking area outside on the Lounge floor. They have a guy Plano piano in the Lounge for a tiny while. You can get drinks at their bar at this time. I went to a pub before the show to drink and have a bite as this place is pricey. Also, your seats are numbered so no need to rush downstairs thinking you will get a better seat. Check out the Golden Bathroom on the showroom level. This is the only time you can go. And you take photos with 1 of the 3 robot performers after the show with your cellphone or camera but they don't give a lot of time (5mins) so try to be the first. So much fun! Have a phone battery pack if you intend to take tons of video or photos. No flash photography and no wifi allowed due to interference with the Robots. Get there early so you can get a seat in the Lounge they put you in before you go downstairs to the showroom. There is a smoking area outside on the Lounge floor. They have a guy Plano piano in the Lounge for a tiny while. You can get drinks at their bar at this time. I went to a pub before the show to drink and have a bite as this place is pricey. Also, your seats are numbered so no need to rush downstairs thinking you will get a better seat. Check out the Golden Bathroom on the showroom level. This is the only time you can go. And you take photos with 1 of the 3 robot performers after the show with your cellphone or camera but they don't give a lot of time (5mins) so try to be the first. Excellent bus with comfortable seats and luggage storage. Klook gives a very good rate. Don't forget to exchange your voucher for tickets when arriving at the airport for either way or both ways. Good WiFi in the bus. 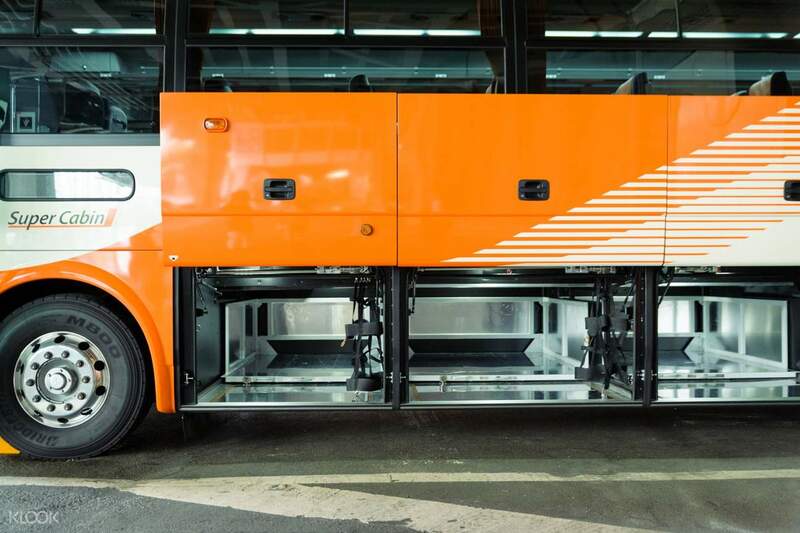 Excellent bus with comfortable seats and luggage storage. Klook gives a very good rate. Don't forget to exchange your voucher for tickets when arriving at the airport for either way or both ways. Good WiFi in the bus. though line was long, it still cheap and convenient way going to shinjuku. I was amazed by the system of japanese people on how they handled my luggage compared to taiwan book here in klook too. Definitely will book again in the future. though line was long, it still cheap and convenient way going to shinjuku. I was amazed by the system of japanese people on how they handled my luggage compared to taiwan book here in klook too. Definitely will book again in the future. Good for those not in a hurry to go to downtown Tokyo. Easy to locate at the airport. Bus is clean and airconditioned. Will drop you off at your hotel. If you're not residing in any of the hotels where the bus stops, you may still drop off at the hotel nearest to your accomodation. I got off at a station near to Tokyo Station and ride back to Narita from the TCAT station. Good for those not in a hurry to go to downtown Tokyo. Easy to locate at the airport. Bus is clean and airconditioned. Will drop you off at your hotel. If you're not residing in any of the hotels where the bus stops, you may still drop off at the hotel nearest to your accomodation. I got off at a station near to Tokyo Station and ride back to Narita from the TCAT station. Hassle free! This is very convenient! I felt comfortable! Klook is really amazing for travel deals! I love it! Hassle free! This is very convenient! I felt comfortable! Klook is really amazing for travel deals! I love it! It is very convenient to use. From Narita airport going to TCAT terminal is very near to our Hotel. It is very convenient to use. From Narita airport going to TCAT terminal is very near to our Hotel. A wonderful hassle free experience travelling from Narita airport to Shinjuku with baggage . Very streamlined and comfortable drive . It was great to get Wifi on board ...thank you ! A wonderful hassle free experience travelling from Narita airport to Shinjuku with baggage . Very streamlined and comfortable drive . It was great to get Wifi on board ...thank you ! Q: If I buy the roundtrip ticket, will I get 2 one way tickets or only 1 ticket used for both directions? If I only get 1 ticket, is there an expiry date for the return journey? A: You will get a combo ticket if you book the roundtrip package. There will be 2 tickets, one for each leg of the journey. The return ticket is valid for 14 days from your first pick up date. You just have to redeem for the actual bus tickets before boarding.